After painting the deck of PACHAMAMA yesterday (see video), today a group of 15 of us including two single-handers, our Mauritian friends and the TOPtoTOP crew left Port Louis at 7AM for a clean-up on the southern beach of Riambel near Souillac with Khurseed Mahomed, our excellent guide and Chandradeo Niraj Gungoo our great driver (also from Sunday); both courtesy of White Sand Tours. a unique structure designed and built under BREEAM principles and environmentally self-sustaining. 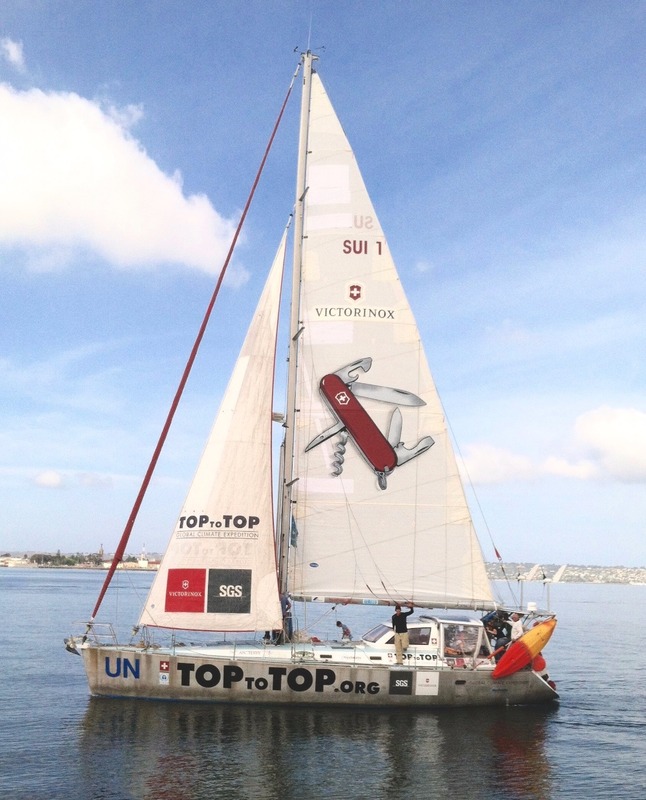 This is a great example of how big and small efforts make a difference in the world. 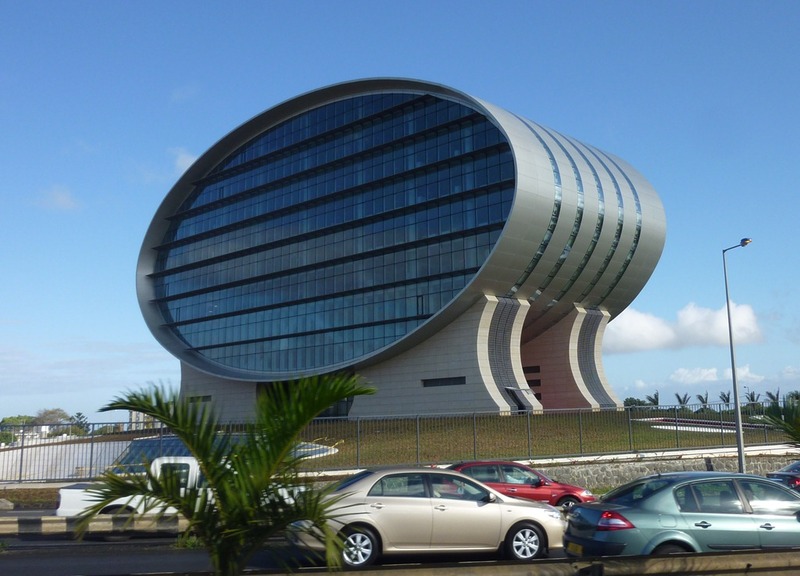 This building, is an icon for the island’s commercial sector and sets a high standard in environmental consciousness. 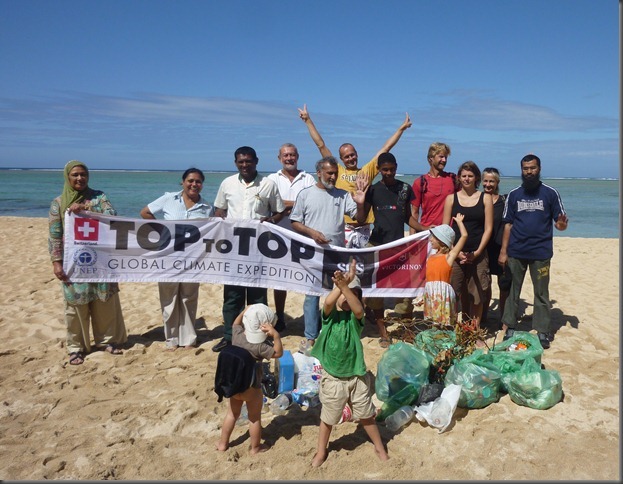 We arrived at Riambel Beach and split into two teams one going east and the other west and each person with an empty garbage bag, which we filled and then brought back to dispose of properly. 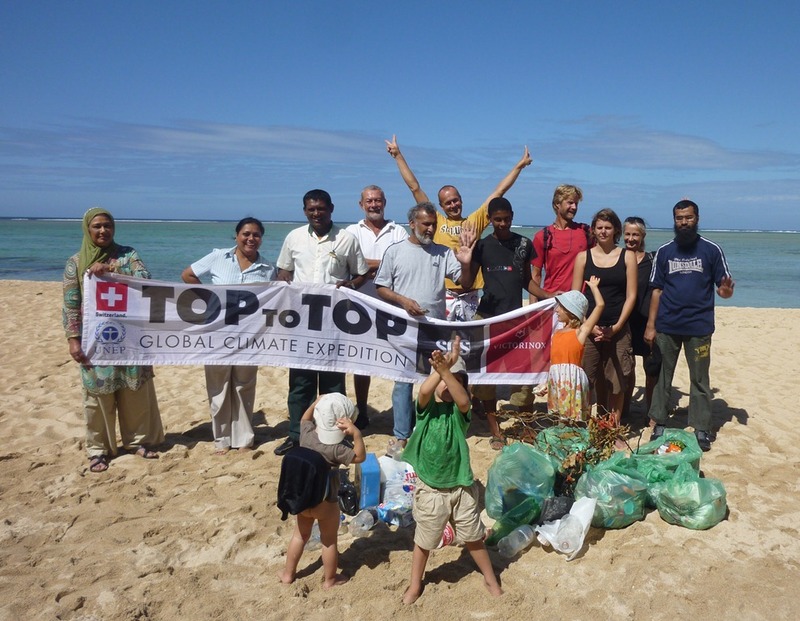 What was great about this clean-up was that, contrary to many locations, we really had to look for the garbage, meaning that the beach was actually quite clean! At the beach we met and interviewed a local official who spoke to us of the environmental efforts they were making in the southern district of the island as well as confirmed what we’ve been hearing around the world regarding the rise in sea temperature. A highlight of their efforts is the reduction in the use of chemicals in sugar cane farming as well as educational efforts with the fishing community to help preserve the reef. See interview video. 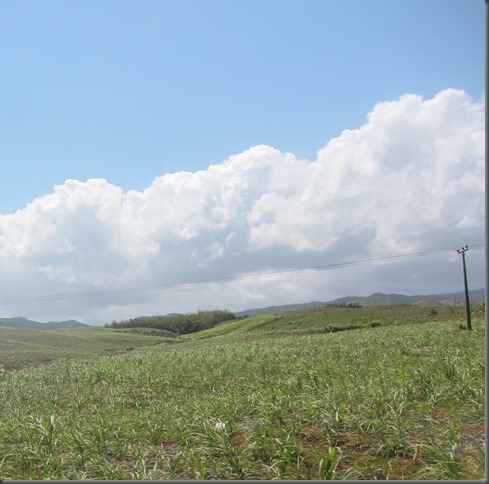 Driving through this beautiful country one passes through kilometer after kilometer of sugar cane; a crop which used to be the primary source of revenue for the country. Given over a 50% drop in the price of sugar, negative health impacts due to the pollen (very high asthma and other respiratory problems are prevalent in children), soil depletion, pollution of the reef due to chemical run-off and unemployment, the need to diversify has become painfully apparent. Along with the conservation and protection efforts of the reef and its ecosystem, Mauritius is beginning to make changes in agriculture and moving away from the mono-culture of sugar cane. We strongly applaud these efforts to diversify with other crops that are sustainable for the island and reconstructive in nature. It is wonderful to see that this country is aware of ecological and climatic problems and acting on it. We’d like to extend a special thanks to Asraf Khodabux and White Sand Tours for their friendship and help in providing guides and transport for the clean-ups we have completed over the past few days!